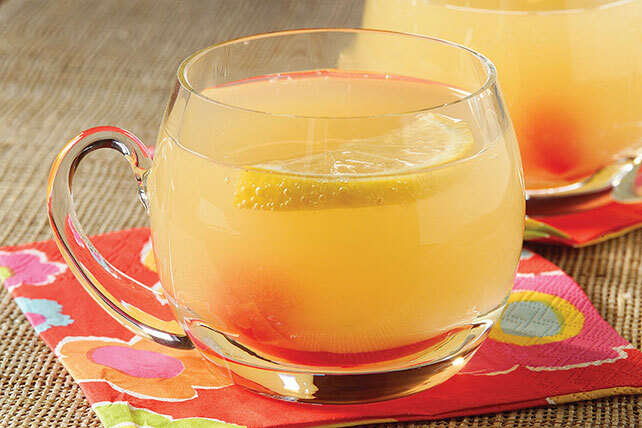 Enjoy a cool and refreshingly fizzy pineapple punch! COUNTRY TIME Pineapple Punch is proof positive that lemonade flavor drink mix is not just for kids. Add juice, carbonated beverage and water to drink mix in 3-qt. plastic or glass pitcher; stir until mix is completely dissolved. Top with lemon slices and cherries just before serving. Prepare using COUNTRY TIME Lemonade Flavor Sugar Free Drink Mix.